It’s opening day for the West Coast Trail! 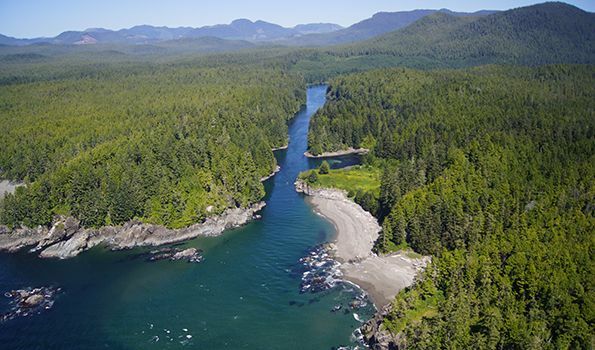 The West Coast Trail, rated as one of the world’s top hiking trails, is a 75 km (47 mile) trail that follows the southwestern edge of British Columbia’s Vancouver Island. This 5-7 day hike takes you along a trail built in 1907 to facilitate rescuing of survivors from shipwrecks along the coast. Expect beautiful vistas on this challenging hike through forests, bogs, slippery moss-covered ladders, and rocky shorelines. Note that a reservation and permit through the Parks Canada website are required to travel along any part of the route. Space is limited to 75 overnight hikers per day to reduce environmental impact and avoid overcrowding, so be sure to plan ahead for this worthwhile journey!